We rely implicitly on things such as our cars and our electricity supply; but how can we encourage the same level of trust in and use of IT utility services? 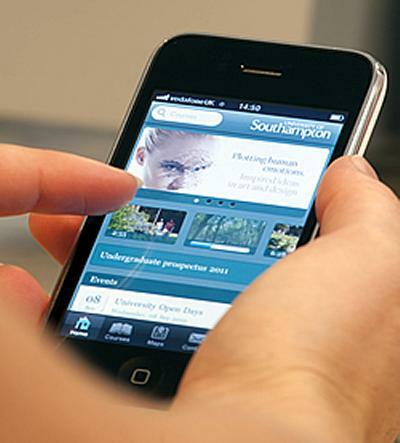 As part of a major £1.5 million investment by the Research Councils UK (RCUK) Digital Economy Programme, a consortium of UK universities, led by the University of Southampton, is to establish a research network focusing on the challenge of ‘IT as a Utility’ (ITaaU). IT as a Utility is about the provision of information and technology in a transparent and highly usable manner. In our ever increasing connected digitally-driven society, many people are accustomed to broadband access to applications ranging from unlimited storage email accounts, to social networking on Facebook, Twitter and LinkedIn, to web-based services for managing and sharing documents, music and photographs. Increasingly, commerce and industry use the same technologies to support their staff, market their products, service their customer base and manage their supply chains. Many of these services are provided through digital content, multi-functional sensors and other connected devices and as their use increases, user communities and urban/rural infrastructure will become more integrated with the Internet and the Web. The three-year ITaaU Network+ project will work towards simple, usable and safe IT provision from smart services, surroundings and information stores. It will also examine the perceived barriers that inhibit new users of these services. The consortium is led by Professor Jeremy Frey from the University of Southampton, with co-investigators Professor Mark Sandler (Queen Mary, University of London), Professor Gerard Parr (University of Ulster), Dr Michael Surridge (University of Southampton) and Dr Richard Mortier (The University of Nottingham). Professor Jeremy Frey comments: “IT as a Utility is closely related to Grid and Cloud Computing with its emphasis on making IT resources effortlessly and almost invisibly available the end user. Cloud models for access to applications and infrastructure are now well established, and are changing the way users interact with applications, especially where the application is accessible from multiple devices and users. In the public arena smart phone apps have shown that there is a demand for such easy-to-use IT functions, yet the potential scope is much greater. The ITaaU Network+ will bring to together researchers from universities and industry, alongside users and content and data providers and processors from the many disciplines needed to understand the provision, uptake, usability, management, robustness, security, trustworthiness and sustainability of applications and services delivered in the future Internet. The network will be arranging a variety of workshops, including smaller focussed discussions, as well as larger-scale community meetings, initiate new collaborative research and provide academic and industrial secondments. The co-investigators in the project are Professor Mark Sandler (Queen Mary, University of London), Professor Gerard Parr (University of Ulster), Dr Michael Surridge (University of Southampton) and Dr Richard Mortier (University of Nottingham). The Network has an Advisory Group drawn from the Digital Economy programme and industry and includes: Peter Grindrod, Chair of Advisory Group, University of Reading; Paul Watson, Newcastle University, SIDE Digitial Economy Hub; Sean Ralph, DSTL; Jon Crowcroft, Univerity of Cambridge; Liana Chang, USTWO; Jamil Appa, Zenotech; Jonathan Legh-Smith, BT; Richard Egan, Thales; Eleanor Stuart, Gcloud; and Trevor Dolby, IBM.